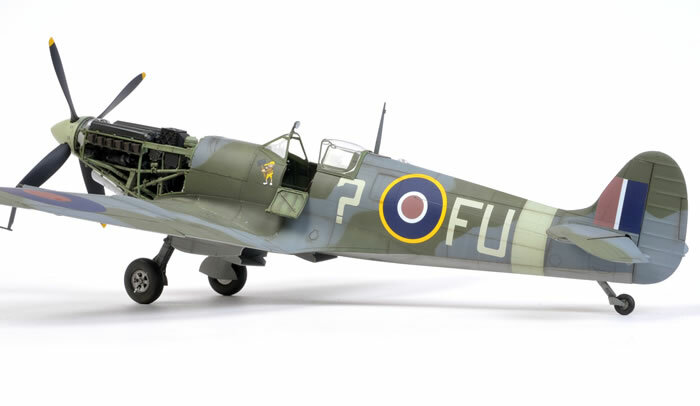 Here is Tamiya's brand new 1/32 scale Supermarine Spitfire Mk.IXc. 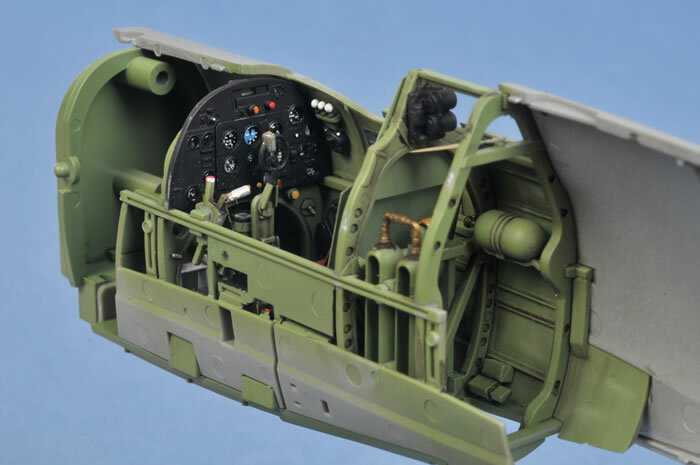 The model was built entirely out of the box as an early Mk.IXc, featuring the single-kink elevator mass balance, wide cannon bulges, short carby intake, five-spoke wheel hubs and early undercarriage legs without the oleo scissors. The kit includes options to build a late Mk.IXc too. Quite simply, this is the nicest kit that I have ever built. Detail engineering and fit are breathtaking. The cockpit and engine are especially noteworthy. The project does demand your attention during assembly, but everything goes together exactly as the instructions suggest. Markings represent a machine from 453 Sqn. RAAF in 1943. Decals came from a number of sources. The codes are from Carpena (the question mark was cut up from a number 2), national markings with the excellent dull red and blue are sourced from Barracudacals, stencils are Tamiya's and the artwork under the windscreen was home made. 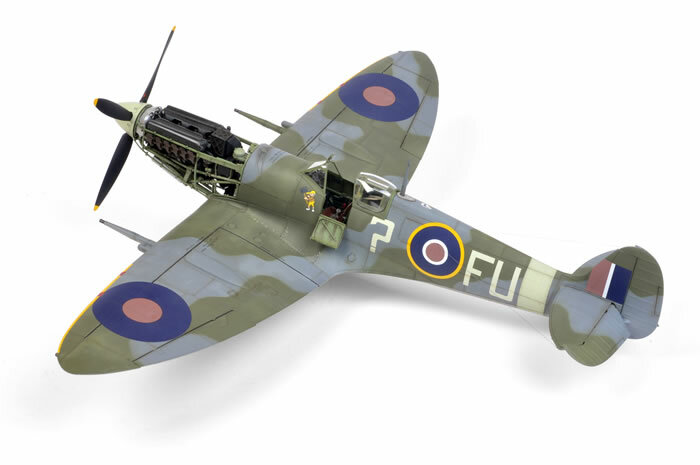 This model, along with two others, features in a new book on building the Tamiya Spitfire IXc, in stock and available online now from ADH Publishing.